It would be impossible to write Vaucluse without including the Bussa rebellion. For one thing, both took place in 1816. Well at least the Bussa rebellion did and I am yet to ascertain if Henry Peter Simmons actually bought Vaucluse in 1816 or the year before. One of the nuggets that I dug up in my research was a part of an advertisement in the Barbados Mercury dated February 3, 1816, which said “at the estate of Henry Peter Simmons called Vaucluse, formerly Yorkshire Hall.” I have yet to see the microfilm of the original, but that means HP could have bought the plantation in January of 1816 or before but he definitely owned it by 1816. 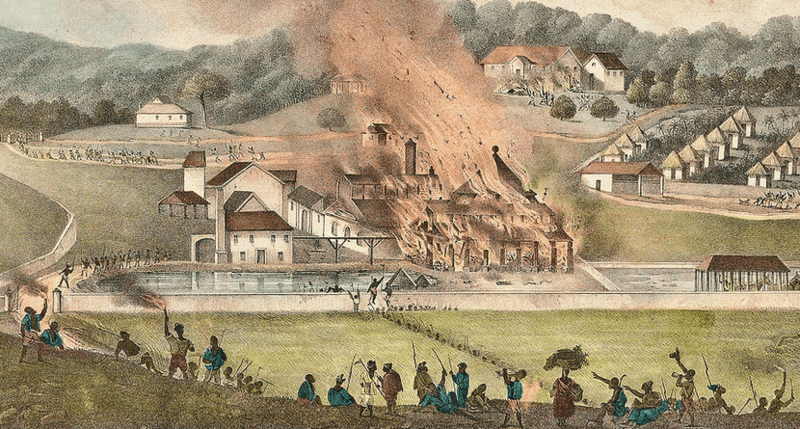 Getting back to the Bussa Rebellion, I was really excited to discover that most of the rebellion had been planned at Simmons Plantation (formerly called Harrow) which was the plantation owned by the Simmons family. HP’s father, also called Henry Peter, owned Harrow and left it to his widow, Ann. She later married a man called John Allen Olton, who bought the plantation from the court in 1790 and became the owner of Harrow. He left it for his son John Allen Jr. who sold it to John Simmons, HP’s brother in 1815. That information gave me some insight into the Simmons’ style of slave management, if I can call it that. I’ve discovered evidence that Henry Peter seemed to adopt the same style at Vaucluse. Interesting development.